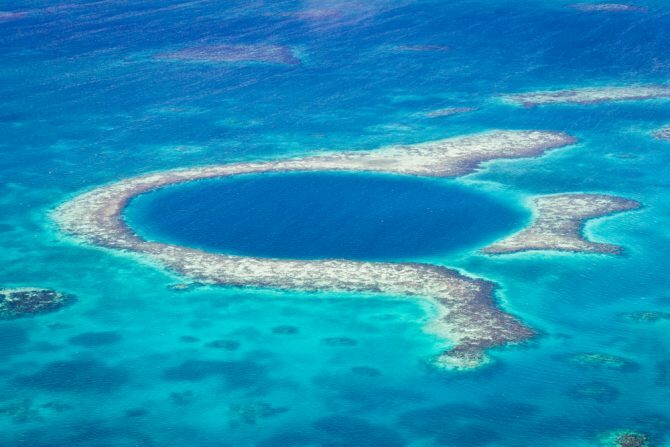 Located off the coast of Central American country Belize, the Great Blue Hole is a giant submarine sinkhole more than 300m wide and 124m deep. 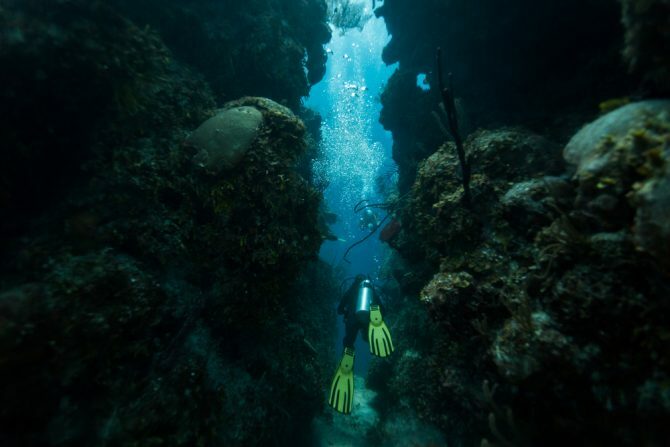 Often considered one of the most beautiful diving sites on Earth, the Blue Hole was originally formed as a limestone cave system as long as 153,000 years ago. As the sea levels began to rise in what’s known as the Current Ice Age, or the quaternary glaciation, the caves flooded and caused the roof to collapse. Scuba divers flock to the Great Blue Hole to explore its crystal clear waters, which are home to numerous species of fish, sharks and corals. However, it isn’t a typical ‘colourful’ dive all the way down – instead, the view opens up a dark underwater cave with dramatic stalactite formations. Want more dive site ideas? Check out our top dreamy diving destinations in the world.